Fire-cured tobacco from the United States is cured in the smoke of burning fires, imparting notes of barbecue. Despite all the technological innovation in the world today, cigarmaking really hasn’t changed much in the last few decades. Premium, handmade cigars, for the most part, are rolled from Central American tobaccos, arrive in boxes, and lighting one up still requires fire and a blade. It’s a surprise then, when the word “innovation” is thrown around the premium cigar industry with some heft. This year has bore witness to an intriguing trend—integrating tobaccos not typically used as part of a cigar. These distant relative tobaccos aren’t new (the processes for curing them are hundreds of years old), but adding these strange leaves into new blends is adding a layer of creativity to blending and flavor in a new generation of cigars. Three different cigarmakers—Drew Estate, George Rico and Sam Leccia—released blends this year containing some portion of fire-cured tobacco, a leaf typically used for pipe tobacco and chewing tobacco that takes its name from the wood-fire curing process used to give it potent, rich flavors of wood and smoke. Fire-cured, or “dark fired” tobacco, is actually cured in a similar process to that of candela wrappers. Both are hung in sealed barns and subjected to high heat. 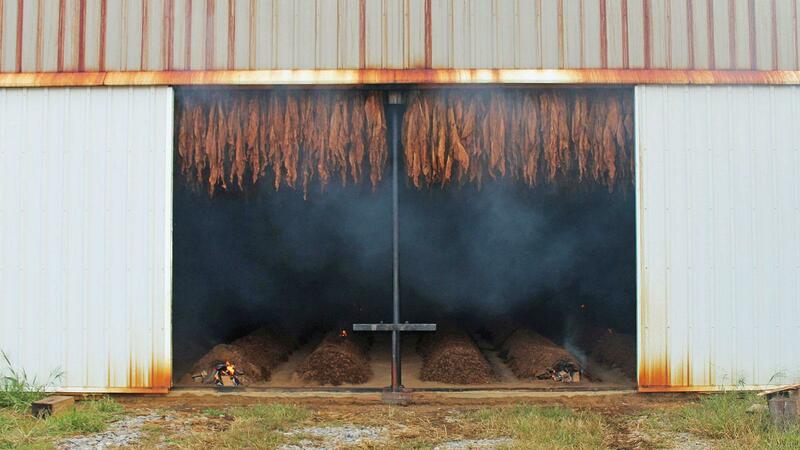 Over a series of days, the tobaccos go through a gradual increase that sets in flavor and leaches out moisture. The key difference is in the timing of the curing. While candela is cured almost immediately, flash sealing the green pigment of the leaf, fire-cured tobacco rests first. “After five or 10 days hanging [in the barns], the tobacco begins to yellow,” says Drew Estate executive vice president Nicholas Melillo, who oversees many of the new products and blends at Drew Estate. Melillo says that once the yellowing has begun, that’s when the fires come into play. But instead of odorless heat, which is used heavily in the curing of premium cigar leaf, fire-cured tobacco is cooked like barbecue, with the woods and their smoke imparting as much flavor as heat into the rafter-packed leaves. Sam Leccia and George Rico also incorporated fire-cured tobaccos into the filler of their newest blends. Rico’s cigar, the Miami S.T.K. American Puro, is made entirely from American tobacco leaves. It has a Connecticut Habano leaf as the wrapper and binder (something rare in the cigar business), and filler leaf from other parts of the United States meant to balance out the fire-cured. Leccia uses a bit of fire-cured leaf in his Leccia Tobacco Black, which is made in the Dominican Republic. The smoke, which has some fire-cured filler from Tennessee as well as Kentucky, also has filler from Nicaragua, the Dominican Republic and Brazil. Leccia says the fire-cured tobacco is a finishing touch, rather than a central component.